Mad Girl Love Songs (2016) Composer: Bosba (b.1997) Tuesday Night New Music, January 2016 New England Conservatory of Music Boston, MA Program Notes: Based on Sylvia Plath's poem " Mad Girl's Love Song", " I shut my eyes" is inspired by Amy Beach's masterfully crafted art songs. The piece starts in a calm manner before becoming more animated as our subject fantasizes about getting kissed and "bewitched" into bed. Right after the climax of the song, she reflects on her unrequited love, singing " I should have loved a thunderbird instead, at least when spring comes they roar back again". "Seaside" is inspired by Ogen Nash's " Pretty Halcyon Days" and offers development in our protagonist's love life. She is much more stable and less " mad" about her lover. She can " lie on the beach ... with nothing at all to be done". Unlike in " I shut my eyes", our mad girl lavishes in the serenity of her love story. I discovered Kevin Prufer's poem " In a Beautiful Country" in my last semester of english class in high school. I found the poem delectably depressing so I naturally decided to put it to music. The repetitive motif in the piano reflect the emptiness of driving alone in open roads and the rumbling of hopeless emotions inside our broken singer as she contemplates suicide. The double meaning of " falling in love" reveals our mad girl's struggle to move on.However, in " Tomorrow", our mad girl has moved on and looks back to her past love with much tenderness and wisdom. I wrote the first two songs for a friend who had a crush on a pianist. Her name meant " ruler" and his name meant " universe", so this set of songs was originally named " Songs for the Rulers of the Universe". Both of them are no longer my friends and I never got to have the third piece performed by them, having finally finished writing it earlier this january, nearly a year after my relationship with them ceased. Our friendship was fun while it lasted and I am grateful that they were once a part of my life. 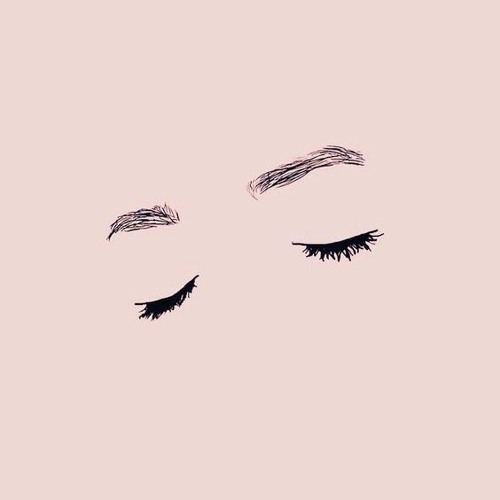 I. I shut my eyes from “ Mad Girl’s Love Song” - Sylvia Plath (1932-1963) I shut my eyes and all the world drops dead; I lift my lids and all is born again. The stars go waltzing out in blue and red, I dreamed that you bewitched me into bed And sung me moon-struck, kissed me quite insane. I should have loved a thunderbird instead; At least when spring comes they roar back again. II. Seaside from “ Pretty Halcyons Days” - Ogden Nash (1902-1971) How pleasant to sit on the beach, On the beach, on the sand, in the sun, And nothing at all to be done! No letters to answer, No bills to be burned, No work to be shirked, No cash to be earned, How pleasant to sit on the beach With nothingto be done! To lave in the wave, Majestic and chilly, Tomorrow I crave; But today it is silly. The sun and the sand No contractor can copy; We lie in the land Of lotus and poppy; We live, calm and romantic, On the beach, on the sand, in the sun, in the sea ! III. To Fall in Love from " In a Beautiful Country" - Kevin Prufer (b.1969) A good way to fall in love is to turn off the headlights and drive very fast down dark roads. Another way to fall in love is to say they are only mints and swallow them with a strong drink. A good way to fall in love is to close up the garage and turn the engine on, then down you’ll fall through lovely mists as a body might fall early one morning from a high window into love. Love, the broken glass. Love, the scissors and the water basin. “Tomorrow" from " Nothing Twice" by Wisława Szymborska (1923-2012) No day copies yesterday, no two nights will teach what bliss is in precisely the same way, with precisely the same kisses. One day, perhaps some idle tongue mentions your name by accident: I feel as if a rose were flung into the room Why do we treat the fleeting day with so much needless fear and sorrow? It's in its nature not to stay: Today is always gone tomorrow.